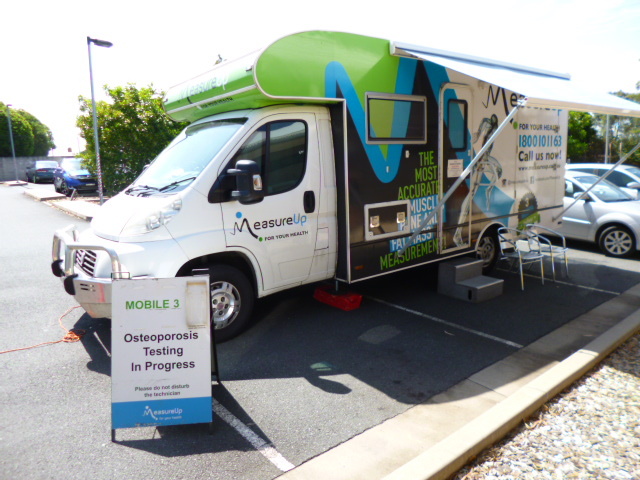 Greenmeadows Medical has welcomed the MeasureUp Dexa scan bus once again to our practice as a quality activity in preventative health for osteoporosis. 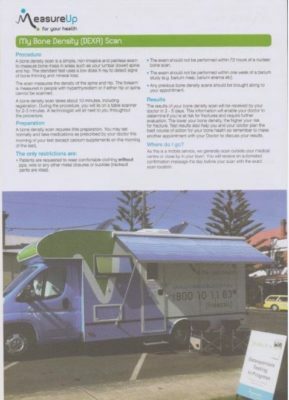 The bus has been at Greenmeadows from the 10th to 21st of December with Greenmeadows Medical inviting patients 70 years and over to attend for scans. The response from our patients have prompted the return of the bus from the 14th to 18th of January for further scans. Greenmeadows Medical is proud to support the MeasureUp Dexa scan bus. – 1 in 10 Australians aged 50+ reported having osteoporosis or osteopenia – that’s 652,500. – 5x more women aged 50+ reported having osteoporosis or osteopenia compared to men – 15.1% of women and 3.3% of men. – 2x the hospitalisation rate for minimal trauma hip fractures for women aged 50+ compared to men.